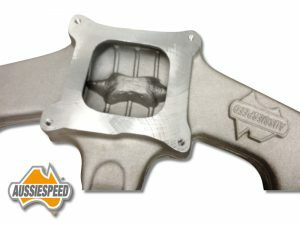 Aussiespeed Holden 6 cylinder red motor 4 barrel manifold suit Holley squarebore carburetor from 390 CFM upwards in the standard north south mounting position. 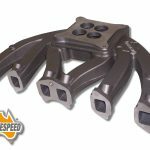 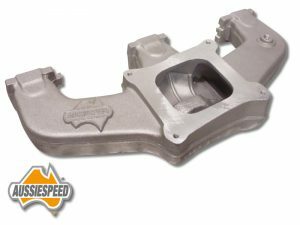 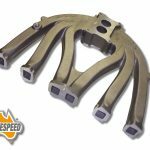 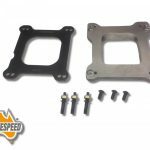 The Aussiespeed AS0002 manifold is designed to be used on modified engines and can be used with LPG as well as on petrol engines and has been used on many Holden 186 and 202 engines as a blow through manifold with a turbo charger. The AS0002 red motor Holden manifold has a cast in plenum filler on the port floor, fuel drop out grid and a divided centre plenum divider. 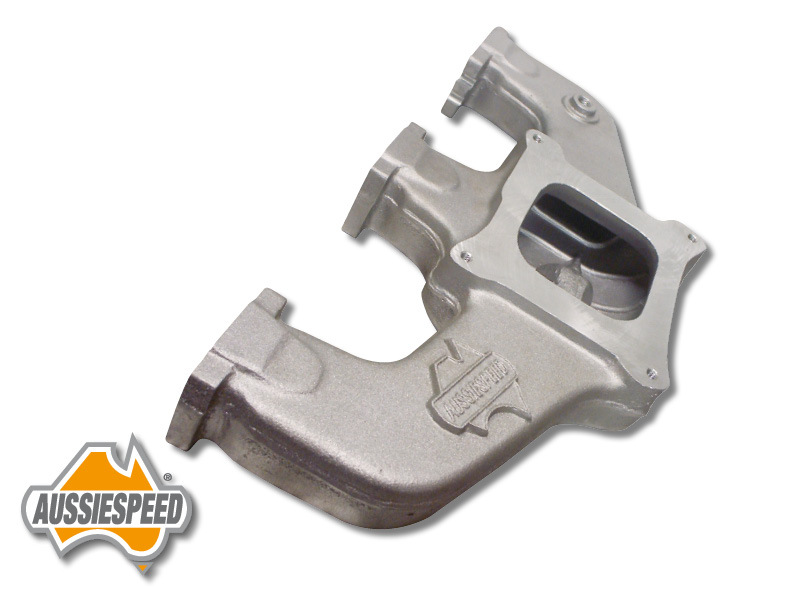 the manifold is 225mm wide at the widest point measured from the cylinder head face to the widest part of the plenum. 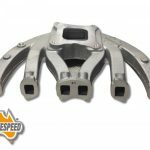 The picture show the plenum design and plenum pig that is part of the manifold, this manifold has been used on mild and hot street engines, with nitrous oxide and with blow through turbo set ups.